I decided to do this haul as a blog post because it seemed like too small of a haul to do a full video on. They were having the 3-Wick candles on sale for only $8 (Regular $19.50-$20) on Friday, so I had to go. If you saw my last B&BW haul video, then you will know that there was a few candles that I wanted to get the full size of. I only purchased one of the 3-Wick candles(Cranberry Pear Bellini) that I wanted because I did not think I would want a full size of the others after trying them out. This scent is described as "A royal blend of tea, lemon, and sugar. Great traditions from across the pond!" 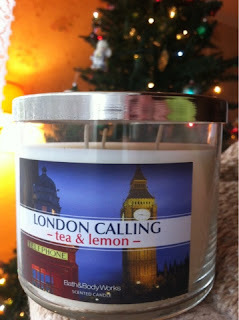 As soon as I saw this candle said "London" on the front, I ran to open and smell it. I never thought that there would be a candle that smells like tea! But hey, there is a candle fragrance of almost anything now. This candle is an acquired smell. I love drinking tea; this candle reminds me of cold winters, Russia, and sitting on the couch before going to bed. The candle smells exactly like lemon, sugar, and Lipton tea. 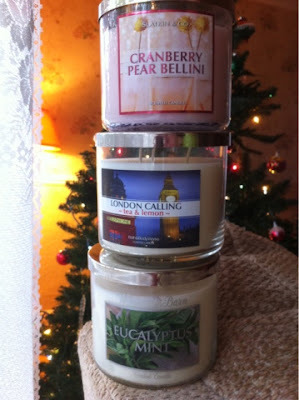 If you do not like the smell of any of those items, you probably will not love this candle. "Bubbly and delicious--a bright blend of sparkling cranberry, sweet pear nectar and luscious blackcurrant--Cheers!" 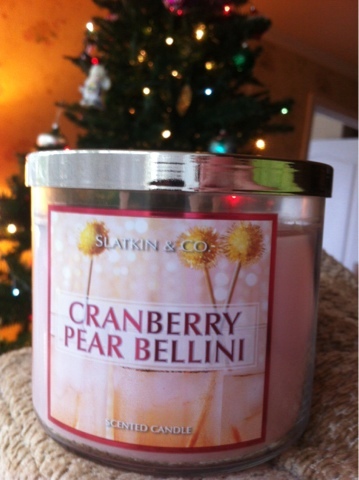 I love the smell of the Peach Pear Bellini, so I wanted to pick this up too. This fragrance is a little more sour smelling. I feel like I can almost smell the bubbles from the Bellini! A perfect candle to burn in January and February. 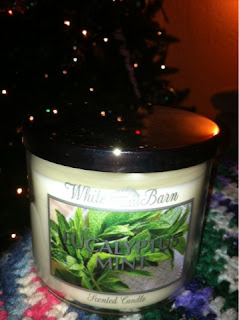 "Fresh eucalyptus, spearmint and a dash of citrus create an exhilarating fragrance that evokes the beauty of a brisk walk in cool mountain air"
I was looking for the Stress Relief candle (I blame finals), but could not find it in the store. As I was looking through the stands, I saw this candle. I love herbal natural fragrances. That is probably the reason why I loved the smell so much. I will be burning all month of May when I have to take more finals.